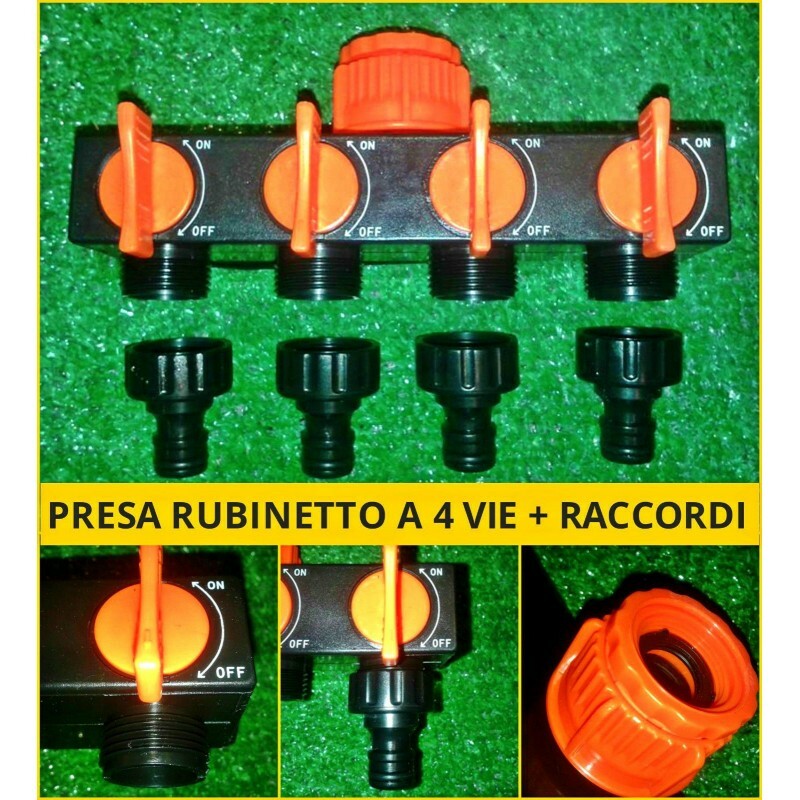 ATTREZZO INDISPENSAVILE PER REALIZZARE LA TUA LINEA DI IRRIGAZIONE, SARA' COME AVERE 4 RUBINETTI IN 1, NON DOVRAI PIU' STACCARE IL TUBO OGNI VOLTA. DOTATA DI 4 VALVOLE DI CHIUSURA INDIPENDENTI PER AVERE L'ACQUA SOLO DOVE TI SERVE. 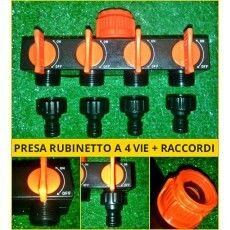 ATTACCO AL RUBINETTO DA 3/4 " (25MM) E 1" (32MM). 4 MASCHIO FILETTATE DA 3/4 CORREDATE DI RACCORDI PER ATTACCO RAPIDO QUICK.